​WHAT: Participants will be able to talk with brewery representatives. Some breweries are making special beers just for FeBREWary and ﻿these beers﻿ will be available during our Love on Tap. Each brewery will have at least 2 beers for you to sample. With live music, unlimited free tastings, a complimentary commemorative pint glass for the first 800 participants, and a chance to talk to the local brewers about their beer. ​WHERE: Seacrets, Jamaica USA. What more needs to be said about this World-Class venue? With world class beauty and sandy beaches, Jamaica delivers the beach inside or out. Whatever the weather, bring your loved one or friend, or bring lots of them! This is an event you won't want to miss. Ocean City is beautiful this time of year, so enjoy the Shore Craft Beer Fest:Love on Tap and stay the weekend so you can fully enjoy Ocean City too. 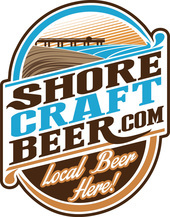 Click here to check out special hotel packages for the Shore Craft Beer Fest which include your accommodation, and tickets to the Festival. Only those 21 and over will be admitted because of liquor control board requirements. Please bring a valid ID to present at the entrance. Whether you want to have an extra hour with only 200 others and try special firkin conditioned beers or you want to enjoy 3 hours of tasting over 30 of our world class, locally made brews while enjoying the live music at the fabulous Morley hall at Seacrets, Love on Tap is THE festival to attend this Winter. Buy your tickets NOW! This year we are excited to announce we have Brett Andrew & Company performing at Love On Tap, singing a mixture of original music and covers with "a base of soul, a splash of funk, and a dash of reggae, blended with some country-twanging, gritty-pickin' Rock and Roll." Full Circle Duo are a rock band with something for everyone! They filled Love on Tap with their melodic sounds last year, so we knew we just had to have them back again this year!